568201-07VM Men's Stock Full-Finger Gloves. 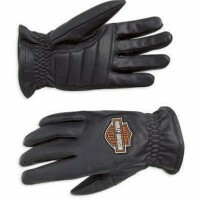 Genuine goatskin leather gloves with tricot lining. 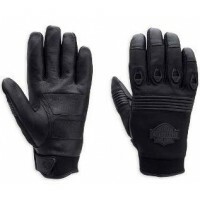 E..
568211-13VM Mens Centerline Leather With Nylon Blend Full Finger Black Mesh Glove. 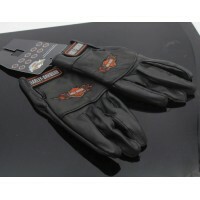 95% nylon and ..
568252-13VM Men's Burning Skull Full-Finger Gloves w/Touchscreen Tech. 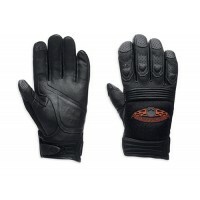 Goatskin leather, perforat..
568309-10VM Mens Ride Ready Flame Full Finger Leather Gloves - Durable pigskin. Padded palms. 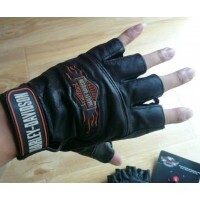 Erg..
568311-10VM Ride Ready Fingerless Leather Gloves. Durable pigskin. Padded palm. 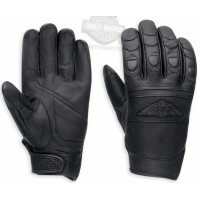 Quick release pul..
568324-15VM Mens Distressed Winged B&S Black Leather Full Finger Glove. Distressed goatskin l..